Just in time for Mother’s Day, this pair of Peregrine Falcons has three new chicks. 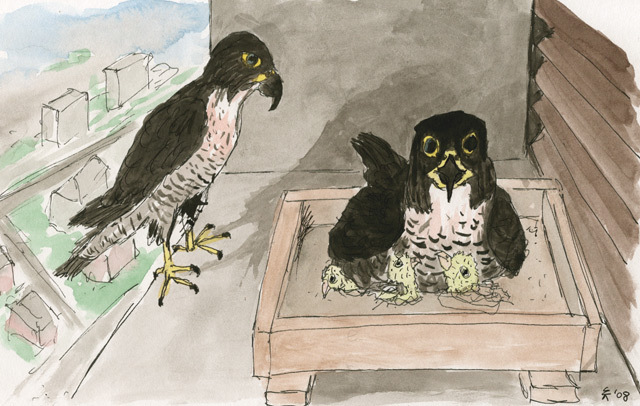 Each year they return to the same nesting spot on a ledge eighteen floors above Etobicoke. The location is equipped with a camera, and the live video feed can be streamed online. Tune in for a feeding session with these baby birds of prey—it’s fascinating.